What impact will the election of a far-right candidate in Brazil have on black Brazilians? Last month, Brazil elected its first right-wing president since the end of the military regime in 1985. Jair Bolsonaro was elected despite a history of controversial statements against minorities that gave him the name of “Trump of the Tropics”. His history of threats and discriminatory statements about black Brazilians, who make up about 54 per cent of the population, suggests a bleak look into the future. The state of vulnerability of black Brazilians, despite them being a majority in the country is clear. According to the Brazilian Institute of Geography and Statistics (IBGE), despite the same educational level, a black Brazilian earns 80 per cent of the earnings of a non-black one, on average. Furthermore, the amount of black Brazilians living in poverty is almost double, and 76 per cent of the poorest decile of Brazil’s population self-reports as black. Data from the Brazilian Household Survey (PNAD) also shows that the illiteracy rate is almost double among black Brazilians, and that life expectancy is almost two years less for them. Map of Violence, a project which collects and aggregates data on violence in Brazil, says the number of homicides is three times higher among them than among non-black individuals. The situation is even worse when it comes to black, young males, who on average are killed every 23 minutes. Because of the exposure to crime, Brazil’s prison population is almost 62 per cent black. 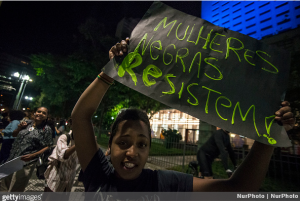 Alarmed by this trend, and after the 2001 World Conference against Racism, Racial Discrimination, Xenophobia and Related Intolerance, the government started implementing a set of actions aiming to revert the precarious social conditions of black Brazilians in the last years. One of the most important of these was the implementation of racial quotas for students to access public higher education. Since 2003, when the racial quotas were implemented, the percentage of graduated black students increased from 2 to almost 10 per cent, according to IBGE. The National Institute of Studies and Research in Education Anísio Teixeira (INEP) also pointed that during the same period, the enrolment share of black students in universities moved from 11 to 30 per cent. This transformation was closely observed by Dr Gregório Durlo Grisa, Professor and Researcher of Racial Issues and Affirmative Actions at the Federal Institute of Rio Grande do Sul, who witnessed the process at his university. Although Dr Grisa does not see a direct influence of the racial issue on the election of Bolsonaro as Brazil’s president, he tells WIB that Bolsonaro’s speech against black people in Brazil was strategically important for him to stand in opposition to the previous governments, especially at a time when Brazilians demand radical changes in politics. 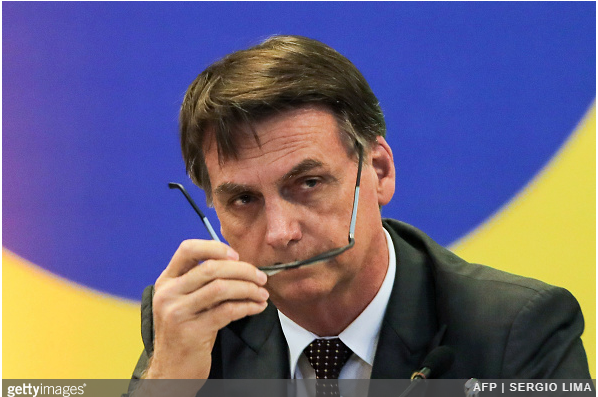 In 27 years as a national parliament deputy, Bolsonaro collected a myriad of aggressive statements against black Brazilians. To mention a few, in 2011, on a TV show, when asked what he would do if one of his sons married a black woman, Bolsonaro replied this would never happen because his sons were not raised in an environment of “promiscuity”. Last year, after visiting a quilobola, or Afro Brazilian community, Bolsonaro complained saying the government was spending too much money with traditional black communities, denigrating the community through a series of petty statements not worth repeating. In defence of these statements, Bolsonaro has frequently repeated that racism does not exist in Brazil because of the country’s miscegenation of races, saying that all races are well integrated with each other. He tactically shifts his narrative mentioning the existence of colour blindness in Brazil, which is basically used to avoid the conversation about racism in Brazil. 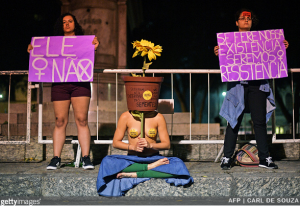 Dr Grisa tells us that to deny racism in Brazil is the same as strengthening it – and this will reflect on the policies Bolsonaro’s government will adopt. Could the violence get worse? Dr Grisa thinks that the most worrisome scenario remains in the field of public security and the fight against violence in the country. The Brazilian electoral process was already marked by numerous reports of aggression and assaults, like the stabbing of Bolsonaro himself and the murder of Romualdo Rosário da Costa, a 63-year-old teacher and master of capoeira who was stabbed to death for opposing the new President. A few hours after Bolsonaro’s win, attacks on journalists by Bolsonaro supporters were reported by local media in the state of Ceará. Similarly, the black Brazilian Youtuber Nataly Neri was a victim of racial offences for posting a video against his victory. Dr Grisa suspects that social tensions may have increased with Bolsonaro’s election and that the racial aspect is present in them. The appeal for violence present in Bolsonaro’s speech is not general, it targets minorities clearly and specifically, putting the physical integrity of the black Brazilians at risk. Considering his racially charged and hateful speech, Grisa tells us that it is hard not to expect the new President to put in practice racist politics. The next years could be of racial and social tensions and a step back of the progressive policies implemented in the last years. On the other hand, this might be an opportunity for black Brazilians to fight for their rights and consolidate as a social movement. 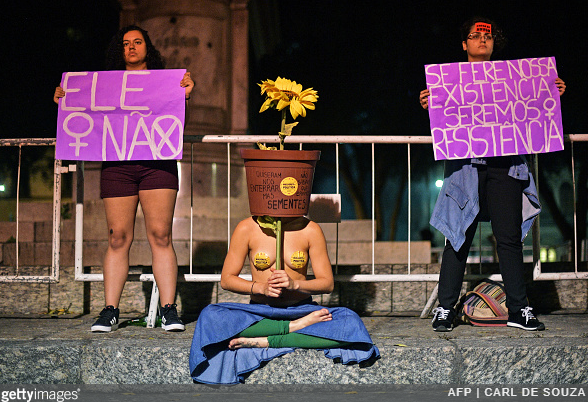 Brazilians need to make sure that regression under Bolsonaro is mitigated. “I hope this challenging moment will be a trigger for the strengthening and oxygenation of the black social movements in Brazil.” concludes Dr Grisa. Originally published by Wikipedia under a Creative Commons Attribution-NonCommercial-NoDerivatives 4.0 International license.